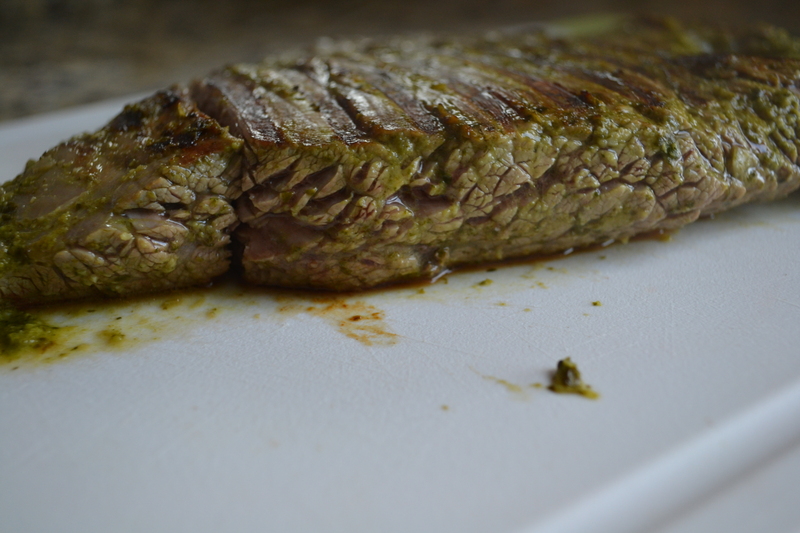 Cilantro Lime Marinated Flank Steak | how 'bout some cake? I’m pretty sure this is going to be a regular on our dinner menu. I made it for the first time this weekend, and J and I both loved it. 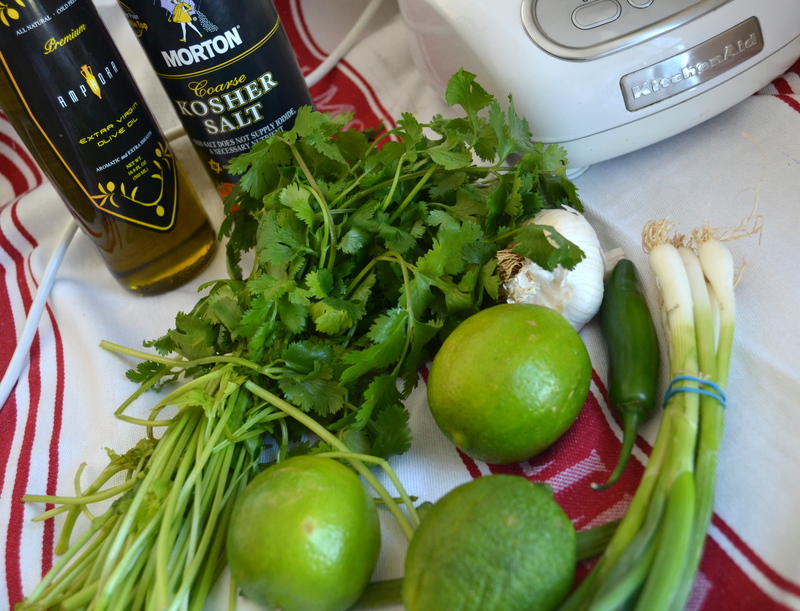 The flavor is bold and latin, but it’s incredibly easy. We ate it plain, but it would be delicious inside a fajita. It was inspired by this recipe, but I tweaked the portions a bit. Just gather this stuff and throw it in a blender. Blend it until it’s smooth (this will probably require scraping down the sides of the blender at least once). 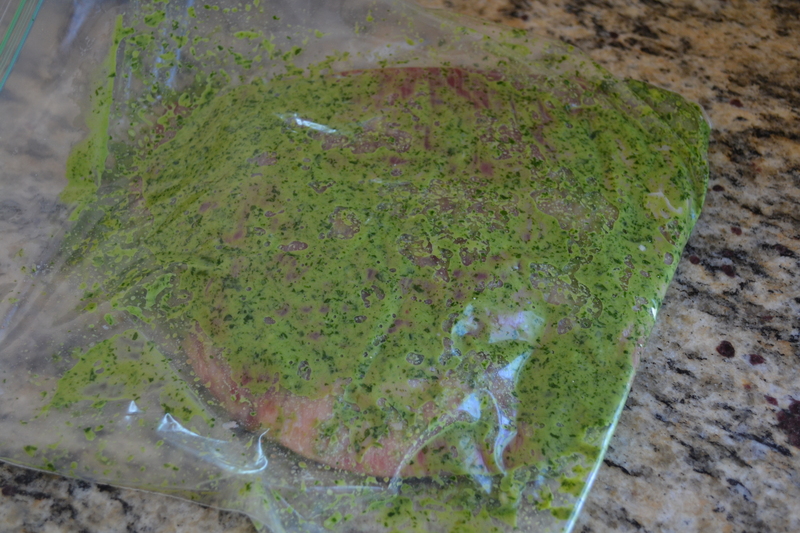 Put 2/3 of that mixture in a big ziplock bag with the steak, and smush it all around so that the steak is covered. 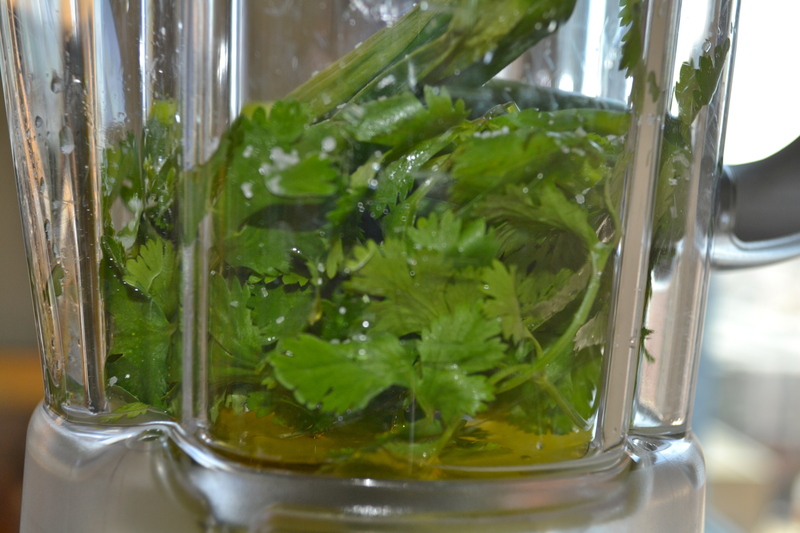 Pop it in the fridge for at least three hours to marinate. 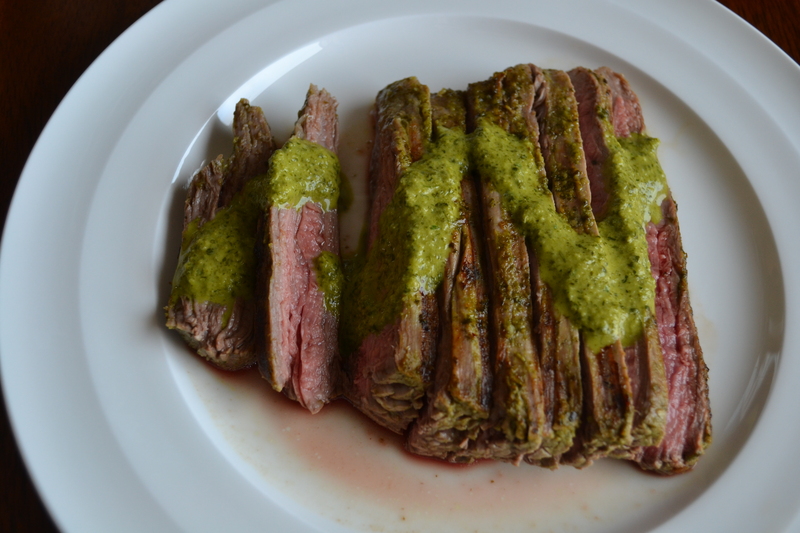 About 30 minutes before you’re ready to grill the steak, pull it out of the fridge. You want it close to room temperature. Now, there are several ways to grill this steak. I used this awesome grill machine that my parents gave Jason. 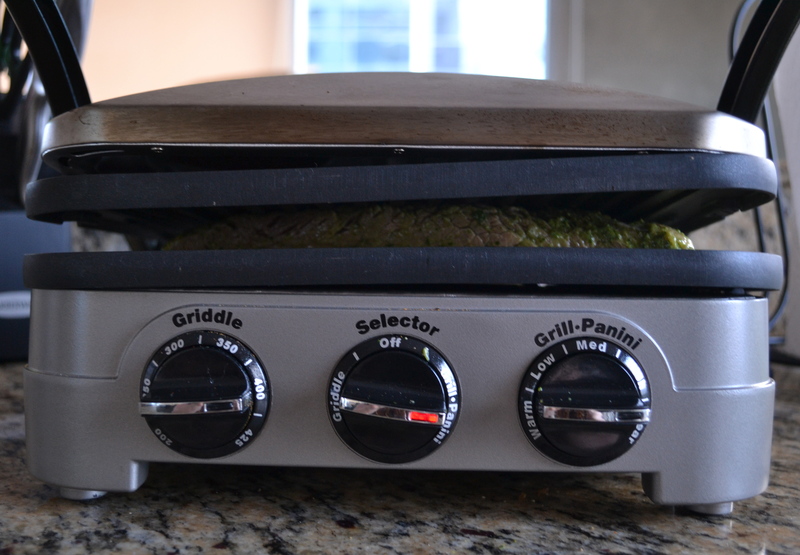 It’s like a George Foreman, but the plates are reversible so you can also use it as a griddle. They’re also dish washer safe! So it’s a great little multipurpose piece. 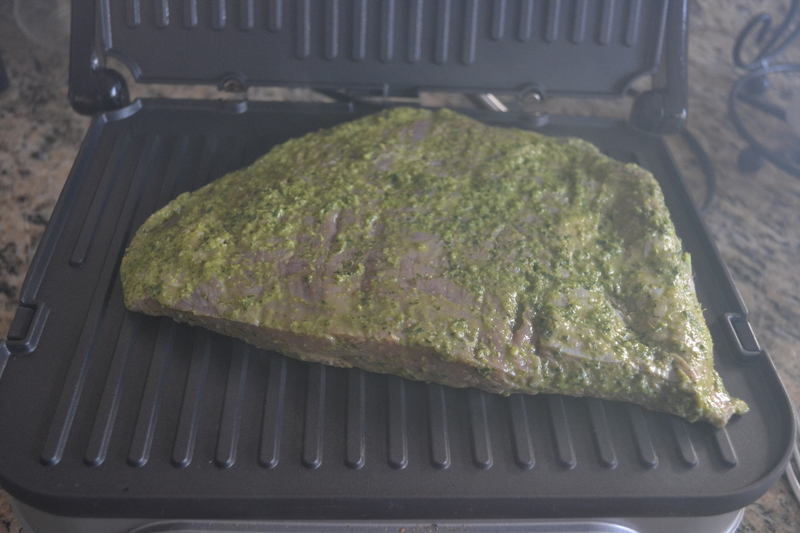 But you can also do it on a regular grill or a broiler pan. Cook the steak for about 2 1/2 minutes if you’re using an indoor grill like me. If you aren’t, cook for about 2 minutes then flip and cook for another 2-3 minutes for medium rare (which is how I always recommend flank steaks). Let the steak sit for about 5 min. before slicing so the juices set. Slice it thinly, then drizzle with the remaining marinade/sauce and enjoy! This was some really photogenic meat. But it also got top marks on flavor. I’d say she’s a sure bet for Miss. Steak USA. 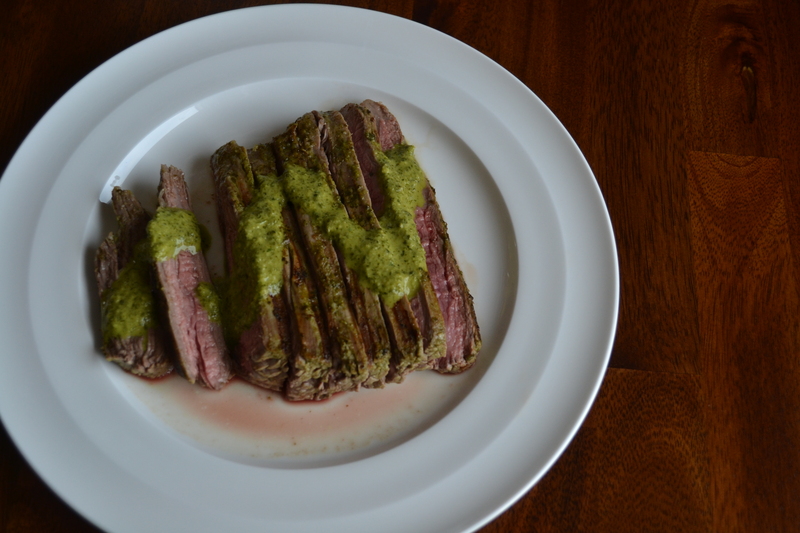 This entry was posted in Food & Recipes, Healthy meals & snacks, Uncategorized and tagged cilantro-lime marinated steak, dinner recipe, healthy dinner, recipe, steak. Bookmark the permalink.